"Caledon Oxbridge was originally founded as a collaboration between NCI and the Independent State of Caledon. It provides a complete Second Life tutorial for new residents. Based on the theme of an old English university, the Orientation is spread over six "Colleges", each covering a different area of the Second Life interface and world: Avatar Motion, Camera Controls, Communications, Search & Inventory, Avatar Customization, and Money & Commmerce. The tutorial experience includes not only traditional orientation posters, but also interactive exercises, free full avatars, and prizes. 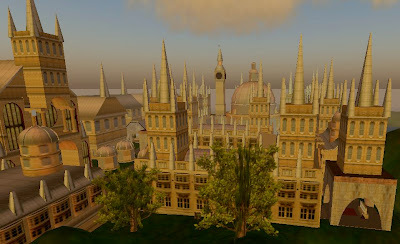 Caledon Oxbridge also incorporates three "Residence Halls", offering a short term apartment and prim allotment to new players, and a branch of the Caledon Library." Here's an introductory video about Caledon Oxbridge University! Visit in-world! 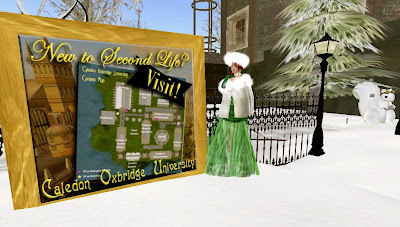 Here's the SLURL (you will need to already be a member of Second Life to visit) and whilst you are there be sure to click on the Oxbridge University Map (created by Mr. Marion Questi) and keep the offered note card that gives you plenty of useful landmarks to various locations at the University. The Mr. Desmond Shang, the Caledon Guvnah, created and philanthropically supports this world with a myriad of dedicated volunteers such as Mr. Carl Metropolitan, Miss Fogwoman Grey, and Dean Martini Discovolante as a helpful destination for all those who are new to Second Life and who wish a comprehensive and visually informative way to learn the skills needed to thrive in this 3-D virtual world. AND....you can even take sleigh rides! Caledon Oxbridge University a beautiful destination for new residents to Second Life or for anyone who would like to brush up on in-world skills, take a class, or just soak up the lovely collegiate atmosphere! 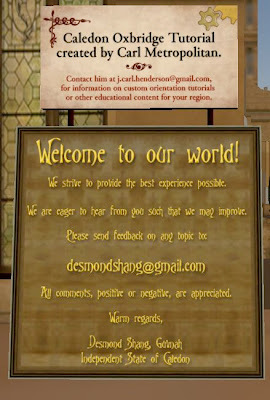 I also created a Visit Caledon Oxbridge sign that gives out a note card of landmarks & a direct LM to the Uni as well as the ability to take a FREE copy of the sign for use elsewhere in-world which I've placed out on both of my properties in New Babbage. Here's a peek at the Interactive Books in Second Life! 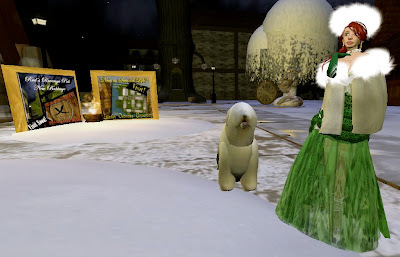 And just for fun, here's a video by Loki about a Christmas Snowball Party I threw with the expert evil genius help Dr. Obolensky in New Babbage. It's silly, but it brings a tear to my eye!